You have a good influx of organic traffic. With dynamic contact list segmentation, you now have properly segmented lists. Now tell me, are they actively engaging or just sitting idle? If you haven’t automated your email campaign, probably they are sitting idle. Did you know high email delivery has a lot to do with how engaged your leads are? Yes. You read it right. 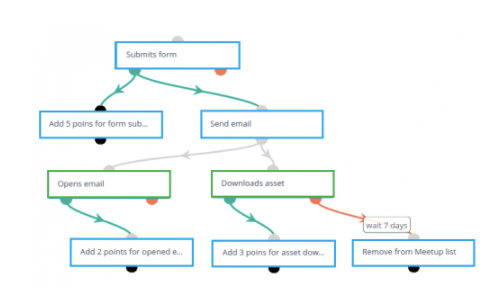 To achieve high email delivery, you will first need to automate your email workflow. You can relax because Aritic PinPoint already comes with automated email workflows. With an automated workflow, you don’t miss out on nurturing your leads. When your leads engage with your emails, it improves your email sender reputation. Thus, you have fewer chances of being marked as spam and more chances of reaching your recipients’ inboxes. Automation helps in nurturing leads with email campaigns. Aritic PinPoint, ofcourse, gives you the option to launch multi-channel campaigns (landing pages, SMS, push notification, mobile, and social media). With the personalized multi-channel approach, you create a brand image that your target audience can relate to. And when they receive emails from you, they instantly connect with you or your brand. This means, your emails make way for a healthy and long-term customer to brand relationship. Add to this, Mailbox providers also analyze how their users are reacting to emails they receive. Hence, more active and engaged user means fewer chances of reaching the spam box. However, along with user engagement, there are other technicalities that play a pivotal role in achieving high email delivery. You have a few seconds to convince a person to open your emails. 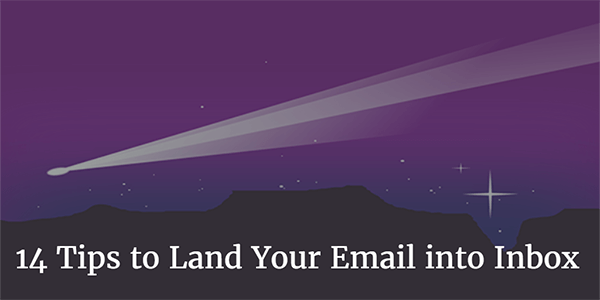 You have worked hard on your email marketing campaigns and subject line, but if you fail to land your emails into the inbox, then you have failed. Email deliverability is essential to the success of your program. Previously we wrote about 48 Reasons Why Your Emails Have Low Open Rate and Effective Email Subject Line – Marketers MasterGuide, which gave you fair insight on how to combine the art and science to achieve high email opens. Now, for improving your inbox placement here are a few tips to land emails into the inbox and achieve high email delivery. Sender score is a credit score that tells email providers and spam filters how wanted your emails are and trustworthy they are. It can range from zero and hundred. This score changes every day. Checking this score on a daily basis is important to avoid any deliverability surprises. You can check sender score, using these services- SenderScore and SenderBase. Using a dedicated IP address can help to land emails into inbox thereby increasing your deliverability rates. When your emails send rates reaches a certain volume, it is advisable to switch to a dedicated IP address. This can help you in gaining control over your reputation and subsequently helps in gaining high email delivery. Marketers need to design email programs and emails which can be read on multiple devices. A responsive email template ensures good rendering on mobile devices too. Apart from this, make sure you are sending a text-based email too; these emails render quite well on any mobile device. You can use Litmus Email Testing and Rendering Tool. Mailbox providers look into a variety of signals; they are not just content to determine if your email should be sent into the inbox or the spam folder. These parameters include complaint rate, the number of non-existent addresses you send mails to, blacklists, spam traps, and many more. Try to find the factors that you need to address before your next email campaign. Request you a customized report to get an idea about your email metrics. You can use these services- mail-tester, MXtoolbox, Multirbl, Hetrixtools. Give your subscribers the option to leave when they sign up to your updates. This is an important factor to make your audience stay. Make sure your outgoing email campaign has an unsubscribe link. Also, make sure that the email campaign has Link-unsubscribe: in the email header. Having Link-unsubscribe: in header enables subscribers to unsubscribe the emails quickly. It is a law to have a working unsubscribe link. CAN-SPAM requires unsubscribes to be valid and working, and unsubscribe requests be honoured within ten business days. To protect your brand from fraudsters consider authenticating your sending domain. Authenticating helps to identify ownership of your mailing domain. 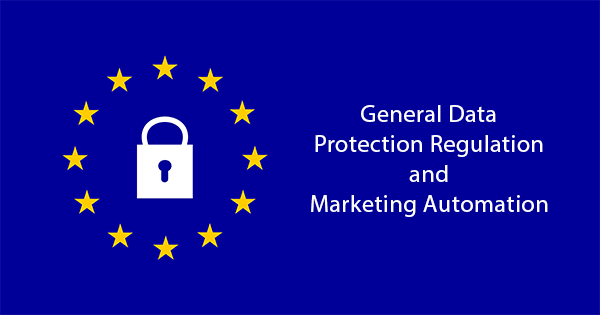 Your sending domain should have proper SPF, DKIM and DMARC records implemented. You should follow this guide for proper implementation. Using these records escalates the sending domain reputation thus, in turn, helps you achieve high email delivery. Every time a subscriber marks your email as spam, or you get a request for a unsubscription, act on it. Receive a report and act on the complaints. This should be observed on priority, and make sure the reporting emails should never include in the list emails where a new campaign is being sent. You should configure your sending domain name with your Google Postmasters account, then, keep an eye on domain reputation and IP reputation tab. High domain and IP reputation in Google Postmasters, ensures high email delivery. Feedback Loop and Delivery Error are another important options; you should also keep a close eye. Knowing the devices that your subscribers read emails can be beneficial in crafting your overall email marketing campaign. Having known about the mail opening activity on the different device; you can focus on proper email template optimization according to the campaigns being opened on different devices. Segment your email list according to your subscriber engagement. It would help you to avoid falling into mail traps. Mailbox providers usually use engagement spam filters along with content and reputation filtering to determine and block your incoming emails . Use an automated URL tester and blacklist checker to run your URL’s and discover potential issues before you hit send. A non-working link inside the email, cause very bad reputation in front of the subscriber. Also, this raises suspicion to the mailbox provider and decreases the email delivery to the inbox. This method is useful in targeting high email delivery and ensures they enter your customer’s inbox. Microsoft mailboxes- MSN, Live, Outlook, Hotmail, take this on priority before it enables emails to land in the inbox of the subscriber. Sending test emails can help you determine the reactions of the subscribers beforehand. These test emails could be sent to the small group to test if you land emails into the inbox. In the case of a failure, report the program could be changed easily, and this would ensure lower damages. Or, you can also send a test email to mail-tester.com service, which enables you to check any potential issues with your campaign at once! These tips will certainly help you achieve a high email delivery rate and helps land emails to the inbox of the subscriber. Are there any other tips that you’ve discovered while sending mail campaigns? Share with us and we will update this article ASAP. 🙂 Till then happy emailing! Great insights, high email delivery is the most critical aspect. I will follow these. It is a well-written post. You have nicely mentioned about the email delivery tips. Great post! I am sure these 14 tips will help to achieve high email delivery. Great blog! Great insights about high email delivery. The article contains useful information about how to create a brand image which the target audience can relate to their business. Exciting blog. Well written by Prem, Thanks a lot for taking such efforts in research and developing an informative blog. High email delivery has always been a great concern. The detailed article helps us create a brand image that the target audience can easily relate. Hey Prem, very well put. Your tips are very beneficial. Yes, deliverability is very important. Even if we can increase our deliverability by just 1%, it can have a significant impact on the ROI. One important thing we must take care of is to not buy an email list! Enough spam complaints could land our IP on a blacklist, ultimately making it harder for all the future emails to be delivered to the folks who actually opted-in to our communications. When we have high email engagement, ISPs will allow the majority of our emails to hit the primary inbox because the demand from our recipients will be is high. Lots of good advice here, so clear and easy to follow. This ingenious article helps to attain an enhanced outlook on how to land emails right into the inbox of our subscribers! If we don’t want our efforts of creating a marketing camaign to go in vain, we must make sure the marketing emails land right into the inbox of our customers. You have composed a very good post to bring to light this eminent issue. Other than subject lines, open rate, opening lines, email delivery rate has the same importance when we talk of emails. To improve this rate of yours, Aritic PinPoint serves you by helping you find your sender score, optimising emails for all devices, attending to customer complaints and much more. Very Good article. But tell me, sending mails from a dedicated IP address, won’t that up my costs way bit too high, especially in the case of start ups. Isn’t there another way to win trust? Maybe supplementing email newsletter launch with a promo contest on Social media. So the people who play the contest are then given a choice to subscribe. Hi, this is a great blog. You have nicely put down the comparison between two best SMTP servers. I enjoyed reading it and planning to try both the tools very soon. Thanks for the post. The tips and tricks are a spot on. Found them to be helpful. Also, I have heard a lot about your application. Will try it very soon. Thank you for sharing the blog. Hey Aleksandrs, this is really good post! The tips and tricks are really a spot on. Found them to be really helpful. Also, I have heard a lot about your application. Will try it very soon. Thank you for sharing the blog. Hey, yet another great blog from your side. Simply enjoyed reading it and the tips are full bang on. Following these tips would be helpful for any email marketer. Especially, following and implementing authentication protocol is a must according to me. They are some absolute mandatory factors that help in landing emails to the subscriber’s inbox. Therefore, thank you for sharing the tips and tricks. Hello, that’s an interesting post. I completely agree with the point that emails must be mobile optimized. Most of us check our emails in mobile devices nowadays. So if it is not shown clearly on mobile devices anybody bothers to open it anyway. Using the Google postmasters is something that I must apply. I guess that does have an impact since I’ll be able to keep track of it. I am sure these tips will eliminate the confusion among most of us. Great … really great value ….